The afterschool program at JIQ offers children a wide variety of fun learning opportunities after the end of the formal school day . We invite students to join us in a series of activities and classes that are designed to open new doors of exploration and discovery. Computers, Sports, Sewing, Dance, Yoga, Karate,and More! Students will also be able to work on their Homework, and snack will be served. If you are interested please contact the office for more information. After School Program runs Monday-Friday for students age Nursery-6th Grade. 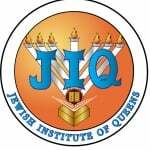 Whether it be exploring new activities or honing talents, there is something for every child at afterschool at JIQ. To sign up for music lessons click here.